ICD-9 And ICD-10: Why The Change Is Scaring Healthcare Providers In the United States? We are living in changing times when it comes to healthcare and billing. Most medical billers are confused by ICD-10 because the codes are longer and require more detail for claims. If your medical practice has not prepared for these new codes, then it can be very scary. The reason for the fear is that you are probably going to experience a lot of denied claims from the insurance companies. If you are familiar with the NPI (National Provider Identifier) system, then you know what I am talking about. For those of you that are not familiar with NPI, it had only one number. These were used in ICD-9. In ICD-10, the numbers are much more complex and often longer. Let us say that you are prepared for ICD-10. Have you given any thought to insurance payers and clearinghouses? How about Medicare? There seems to be a lot of confusion amongst insurance carriers when it comes to individual NPI, legacy ID numbers and group national provider identifiers. Many healthcare providers upgraded their practice management software. Many of the claim files had to be sent to the clearinghouse. Many doctors are choosing to outsource their billing today because it’s easier. 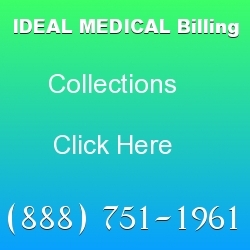 Medical billing companies take care of everything for you to include: utilization management, collections, billing, verification of benefits and so much more. They often do it for 4% to 16% of the revenue. For some physicians, this is a great deal being they don’t have to invest in any expensive software or hire anyone in house. They also don’t have to worry about if the claim is being sent to the insurance company correctly. Since ICD-10 is causing so much confusion, many claims are not getting paid even after 1st, 2nd and 3rd attempts are made. It is not uncommon today to hear medical billers having to submit their claims some 5 to 10 times over. It is clear that a medical biller today should be ICD-10 certified and have experience working in the field of medical billing. 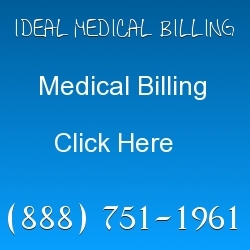 Professional medical billing companies have been working with these codes long before they came out. 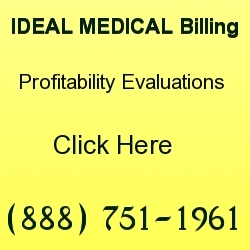 Ideal Billing Solutions was preparing for ICD-10 long before the codes were released. Their clients trust them to get them higher returns because of their expert coding skills and knowledge. Most hospitals today are leaning towards outsourcing their billing because their in house billers are often not familiar enough with the new system of coding that was released on October 1, 2015. If you choose to do your own in house billing, here are some costs involved. You should be parred to pay for training and mapping from ICD-9 to ICD-10. There is a present shortage of qualified ICD-10 coders today. If you happen to land a good coder, expect their salary to be a lot higher than your average biller. Many ICD-10 coders have bachelors and master’s degrees. Most have their ICD-10 certification. It may cost you well over $70,000 for their salary alone. The other reality that you have to face is that you are going to need new software that is specific to your practice. Some software cost well over $20,000. An important fact to keep in mind is that the ICD-9 codes are nearly 30 years old and are not expandable for complete diagnosis. ICD-9 codes are between 3 and 5 characters long. ICD-10 codes are between 3 and 7 characters long. The codes in ICD-10 are put into chapters and sub-chapters. It allows around 169,000 diagnosis codes. In ICD-9, there are around 14,000. This alone is a huge difference. If you don’t know a lot about anatomy, it might be a good time to begin studying about it today. Did you know that ICD-10 was used by other countries long before it was released in the United States? It is also important to know that ICD-9 is not maintained any longer. As hard as it is, it is best to forget about the ease of ICD-9. Today, you have to really know your stuff. The estimated time to train a biller that used ICD-9 and wanting to learn ICD-10 is around six months. Sometimes it takes longer depending on how much study goes on. If you are interviewing someone for a coding position, ask them to go into detail about how they would bill someone for a certain sickness that was treated. What are the steps that they would take? It’s important to hire an ICD-10 consultant if you are trying to use an in house biller. 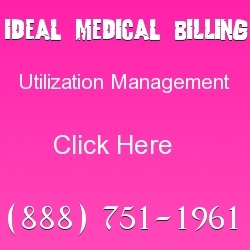 If you use an outsourced medical billing company, then you only have to allow them to do their job. After all, that is why you are paying them.